Your own private oasis is here at The Spa at Traditions. Slip into a plush robe and slippers and then relax in front of the fireplace as you wait for your massage or other treatment. Click on any one of our services below to learn more or see our full menu. Gratuities included in all packages. ALL make great gifts and they never expire! 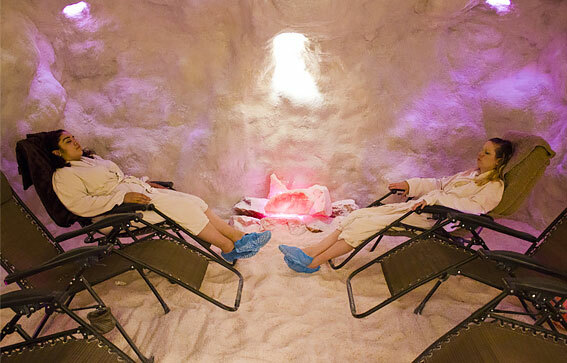 Relieve stress and enjoy soothing relaxation in our one-of-a-kind Salt Sanctuary. Known to promote wellness, and with healing properties for a host of respiratory and skin ailment symptoms, salt sanctuaries have been recognized for their health benefits in Eastern Europe for years. Come bask in our Himalayan salt cave, a sensory retreat constructed with mineral rich pink Himalayan salt; an age-old European healing experience right here in Central New York. Lay back and relax on beautiful Nordic Spruce wood in our infrared sauna, where you can burn up to 600 calories and lose a pound of sweat in only 30 minutes. This increasingly popular weight loss and detox room involves the emission of non-visible infrared light, which is the same as the good (non-ultraviolet) wavelengths we receive from sunlight. Infrared light penetrates up to 1.5" deep into body tissue, causing the body to heat from the inside out, opening sweat glands, releasing toxins, activating cells and metabolism. 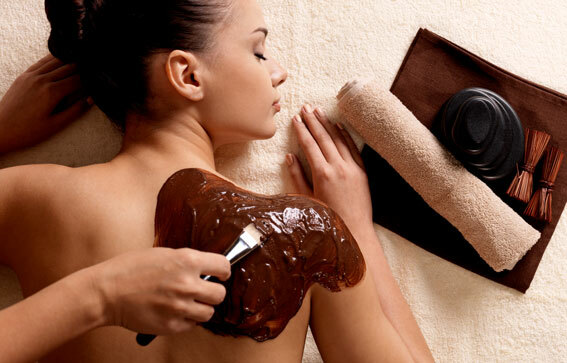 Show your mom how much you love her with a relaxing spa treatment! Treat her to one of our customized facials and receive a complimentary 5 piece skin regimen designed specifically for her skin type. Limited time offer for only $125! Reserve now for Mother's Day! Celebrate your mom this Mother's Day with a Spa gift card! Daily specials are not valid in conjunction with other specials and no additional discounts or coupons may be used. Weddings are our Specialty! Our stylists have extensive experience with brides and bridal parties, we are devoted to making you look and feel beautiful on your special day. Our stylists will provide you with the most current wedding updo’s, hair styles, and mineral or airbrush makeup. We have a private party room where everyone can enjoy, while our bridal team focuses on you and your bridal party. A special spa food menu is available and can be specifically tailored to your needs. We will have everyone in the bridal party looking their absolute best. Providing services to wedding parities is one of our special service areas which clearly differentiates us from others in our region. We work with hundreds of bridal parties each year providing them a wide range of services. From spoiling the women before a rehearsal dinner while the guys complete a quick round of golf or all the wedding party up-dos on the special day, to a couples massage for the bride and groom the morning after... we are ready to help make your event less stressful and provide you with services which will leave you feeling rejuvenated and relaxed. Don't forget about the option of using our private party room for your group. By popular request, we have the weeks before your wedding planned for you and your wedding party. It's just one more thing we do to help make this time a little less stressful and more enjoyable for all! *Please contact Bridal Coordinator for bridal package. Eyelash Purchase are each an additional $15 per application. *Mandatory practice up-do for Brides at least two weeks before wedding. 50% deposit for Bridal parties. Experience the ultimate in relaxation with your partner in our Couple’s Suite. Enjoy your choice of a 50 minute Body Renewal or an Aromatherapy Couple’s Massage. Spend some special time together after your treatment with complimentary champagne and chocolate covered strawberries served in your private room. We require a credit card to reserve all appointments as we have a two-month cancellation policy for bridal parties. 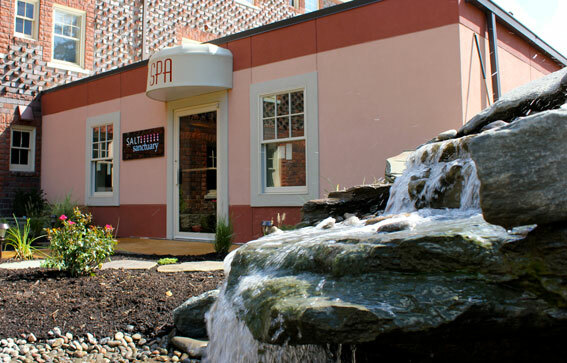 If you are interested in scheduling at the Spa at Traditions, please call and schedule your appointments today. Let our professionals at the spa transform your style with the latest trend while utilizing the latest technique. Whether you desire a new look, cut, color, or styling for a special occasion, we pride ourselves on being one of the premier spa in the area. Our expert stylists will help you enhance your beauty, while you sit back, relax and enjoy a luxurious Spa manicure or Pedicure. Our technicians will provide you with the most extensive nail care. We provide a customizable treatment mask with hot towels, exfoliation, cuticle care, massaging of the hands or feet, along with shaping and nail buffing. Our full salon service will leave you looking and feeling more beautiful than ever. Students receive 15% OFF hair services by entering code 15OFFSTUDENT in the comments section. *Please contact Bridal Coordinator for bridal package. $20 & up based on hair length. Add $20 for any cut with perm service. You must have a Consultation before you book your appointment. Please allow for ample hair growth (at least 2-3 weeks) prior to waxing. The CND Shellac System features a dry manicure with traditional nail and cuticle care. Combined with the CND LED lamp, your nails will dry instantly to a mirror shine and remain flawless for up to two weeks. A comprehensive nail service including nail and cuticle care, extended exfoliation and massage of the feet and legs, and a treatment mask. Our Bodyography cosmetics surpasses traditional mineral makeup with a superior level of protection and perfection using the exclusive technology of Idebenone. Bodyography’s long wearing color pallet in rich pigments are botanical enriched in skin-worthy formulas for eyes, cheeks and lips. The hand crafted Tool Collection of Bodyography creates the ideal lay-down of pigment making the art of makeup simplified and effortless. "an elixir of luxe minerals and essential vitamins leaves skin a glow"
Let our technician provide you with the full effortless look you want out of your lashes and brows with eye lash extensions and Henna Brows. The Lash extensions come in various lengths, curves and thicknesses, from natural looking to dramatic. Henna brows are a form of eyebrow tinting that is used to stain the skin beneath the brow hairs. The purpose of this is to cast a shadow or create an illusion of depth and fullness in the area, visually filling in any sparseness. 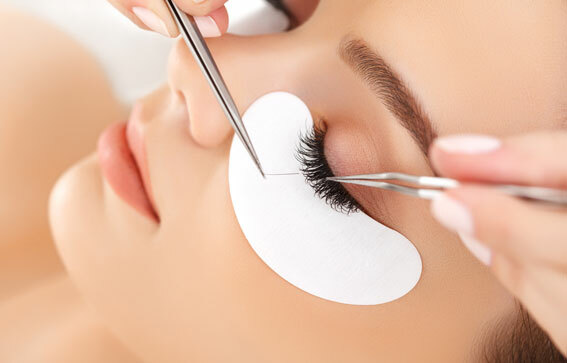 Eyelash extensions and henna brows will save you time and make your eyes look amazing. Henna brows are a form of eyebrow tinting that is used to stain the skin beneath the brow hairs. The purpose of this is to cast a shadow or create an illusion of depth and fullness in the area, visually filling in any sparseness. Henna is a natural dye made from a plant known as hina or the henna tree. With henna, you can temporarily tint your eyebrows in a painless and all natural way so they’re shaped every morning, with no need for pencils or powders. The results of henna brows typically last between 2-4 weeks, dependant on your skin type. Individual synthetic lashes that are applied directly to your own individual eyelashes. They come in various lengths, curves and thicknesses, from natural-looking to dramatic. Eyelash Extension Adhesive is medical grade, hypoallergenic and safe on the natural lash. 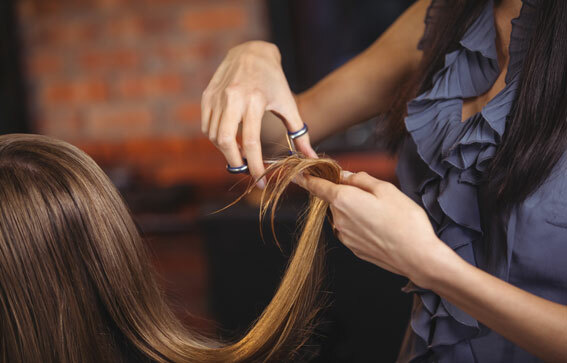 Extensions remain on for approximately 2-4 weeks with their natural growth and shedding cycle. To keep the eyelashes full, one must maintain them by refilling bimonthly to monthly. Eyelash Extensions are waterproof, sweat proof and give the appearance of having mascara on without the messy clumps and smudging of makeup. Begin your ultimate spa experience with a relaxing combination of texture, aromatic notes and the power of human touch to ease both the body and mind. Our experienced licensed massage therapist will help relieve your tension while preparing your skin to receive the highest benefit from your treatment. Our massages will sooth the spirit and quiet the mind. Cupping is a technique that uses small glass cups as suction devices that are placed on the skin to disperse and break up stagnation and congestion by drawing congested blood, or energy to the surface. In dry cupping, the therapist will simply place the suction cups on the skin. Once the suction has occurred, the cups can be gently moved across the skin. The suction in the cups causes the skin and superficial muscle layer to be lightly drawn into the cup. Cupping is much like the inverse of massage - rather than applying pressure to muscles, it uses gentle pressure to pull them upward. Once suctioned, the cups are generally left in place for about ten minutes while the client relaxes. This is similar to the practice of Tui Na, a traditional Chinese medicine massage technique that targets acupuncture points as well as painful body parts, and is well known to provide relief through pressure. Each of our results-oriented body treatments features our FarmHouse Fresh products which is all made in Texas using up to 99.6% natural and naturally derived ingredients made from U.S. farms and most products are Paraben & Sulfate FREE. The fragrances are all natural or phthalate free and many of the products are also Vegan and Gluten Free. Begin your ultimate spa experience with a precious combination of texture, aromatic notes and the power of human touch to relax both the body and mind. With indulgent ingredients, the skinny raspberry margaritas body wrap effectively counteracts the effects of aging on the body. Benefits include improving elasticity, tone and firmness of the skin. A full body wrap is followed by a finishing application that will help reduce the appearance of stretch marks and aid in the prevention of new ones. EXPERIENCE: A luscious, juicy cocktail scrub is chock full of fresh raspberry notes and Square One organic vodka to exfoliate away all your rough areas. Next, a warming nopal cactus wrap tones, tightens and gives that skinny girl look without a diet! Your treatment finishes with a light, whipped citrus shea butter massage that is good to the last sip! When making your wrap or scrub appointment, please let the Spa staff know if you are under a Doctor's care for any skin irritations or if you are taking any medications for a skin problem. 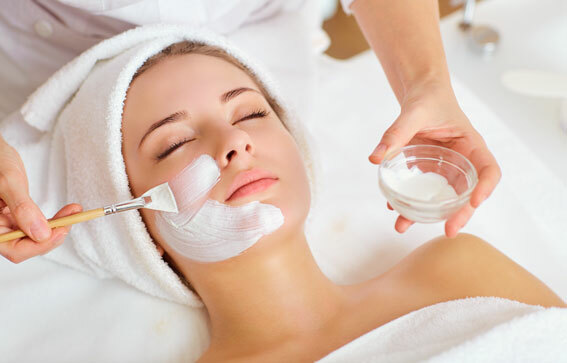 Let our paramedical esthetician rejuvenate your skin by revitalizing in our signature facial. We offer a variety of invigorating facial treatments from our Diamond tome microdermabrasion facial to our Intraceuticals Oxygen Facial and many more. Every facial is customized to your skin type and will help renew your complexion. DiamondTome Skin Resurfacing treatment is non-invasive, pain-free and results are gradual but highly effective. Most experience softer, smoother skin after their first treatment. DiamondTome improves overall skin health on any area of the body and can reduce the effects of sun damaged skin, age spots, blotchy skin coloring, wrinkles, skin texture, acne, superficial scars, oily skin, keratosis pilaris or "chicken skin" on arms and legs. DiamondTome exfoliates the topmost layer of the skin leaving it more supple and vibrant while also stimulating the elastic tissue beneath the surface of the skin resulting in a healthier and firmer appearance. Treatments are administered by our Certified Paramedical Aestheticians. Service time for all treatments are 50 minutes. This ultra lightening treatment gently blends lactic acid and a cocktail of lightening and brightening agents to reduce discoloration and the redness caused by rosacea. A potent blend of salicylic and glycolic acids blended with plant derived stem cells to effectively treat and heal blemishes, redness and diminish post-breakout dark spots. This powerful salicylic peel provides smoother skin, immediate reduction of oil and active acne within 24 hours of treatment. Exclusive blend of exfoliating agents are combined with powerful antioxidants, correcting peptides and plant derived stem cells to create "Perfection". *Peels may also be performed on back, arms and hands - inquire on pricing. When making your facial appointment, please let The Spa staff if you are under a doctor's care for any skin irritations or if you are taking any medications for skin problems. Experience the ultimate in relaxation with your partner in our Couple’s Suite. Enjoy your choice of a 50 minute massage and spend some special time together after your treatment. Complimentary champagne and chocolate covered strawberries will be served in your private room equipped with a private bathroom and shower. Great experience, I will for sure be back! Ladies are very nice and sweet. I was greeted with a warm and friendly introduction, service was fantastic, it was the best pedicure I have ever had. We love staying at Traditions at the Glen. A beautiful place indoors and out and the Spa is wonderful. My treat to myself—total relaxation! Love Traditions and the excellent experience every time I am there. It is a calm and relaxing environment and staff have excellent customer service. Infrared Sauna Designed for heat absorption, safety, and relaxation. The infrared heaters in our Clearlight model completely surround you on your front, back, sides and underneath to maximize the concentration of infrared heat. This heat is delivered at a wave range that targets the optimal average frequency for absorption by the body, allowing you to receive the greatest weight loss and health benefits from time in the sauna. As you bask in the warm surroundings of the sauna, the Nordic Spruce wood below you reclines out so you can enter a deeper rest. Or if you choose, add music to the mood by plugging in an iPod or MP3 player and surround the room with sound. Clearlight saunas are designed for safety, and emit the lowest and safest levels of Electromagnetic Field (EMF) and Extremely low frequency (ELF) on the market. You’ll be surprised that there’s no odor in the sauna, considering how much sweat and toxins are released in the room over 30 minutes. Infrared heat kills bacteria and dries up moisture rapidly, creating an antibacterial and odorless environment for the next guests. Our local Binghamton University conducted a Weight Loss Study on individuals that underwent infrared sauna sessions for a period of time. Studies found that participants measured up to 4% drop in body fat over a two month time period. Combine Salt Therapy, Infrared Sauna and Steam Shower all in one exhilarating experience! Monday - Thursday, Limited time only. Referral discount - Bring a guest with you to your infrared sauna session and guests pay only $15! 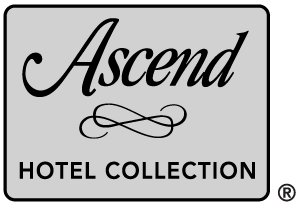 Registered hotel guests receive an exclusive, discounted rate of $20 for Salt Sanctuary and Infrared Sauna Sessions, as well as 10% off spa services. Infrared Sauna accommodates up to 4 individuals per private session. Must be 14 years or older to receive sessions. Youth ages 14-16 must be accompanied by an adult. Pricing is subject to change at anytime. Gift Certificates may be used on any product or service. Special discounts and/or promotions may not be used for the purchase of gift cards. Other restrictions may apply. While walk ins are welcome, we recommend appointments be made in advance for all services.